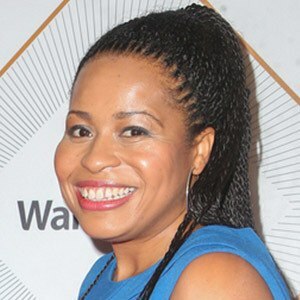 Screenwriter who rose to fame for creating the popular 2014 Starz original TV drama Power . She has also earned acclaim as a primary writer for the CBS TV drama The Good Wife . She graduated from Brown University with her bachelor's degree. She later earned her master's degree in English from Columbia University. She has written for The CW TV drama Beauty & the Beast. She earned her big break in Los Angeles writing for The Bernie Mac Show. Her father Herbert passed away in 2011. She wrote the TV pilot for Power with 50 Cent attached as an early executive producer.